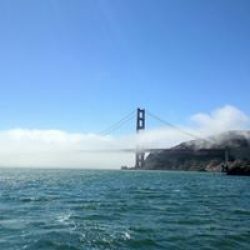 Sailing Fearless charter adventures on San Francisco Bay promises beautiful days, great food, a fun captain, and a great adventure. Whether you are a first-time sailor or a veteran, Sailing Fearless will not disappoint. 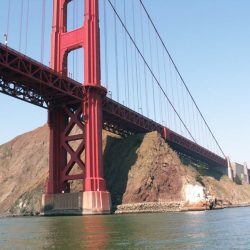 Leaving from the Presidio Yacht Club at the north end of the Golden Gate Bridge gets you on the water and sailing the bay quickly. Come join us! 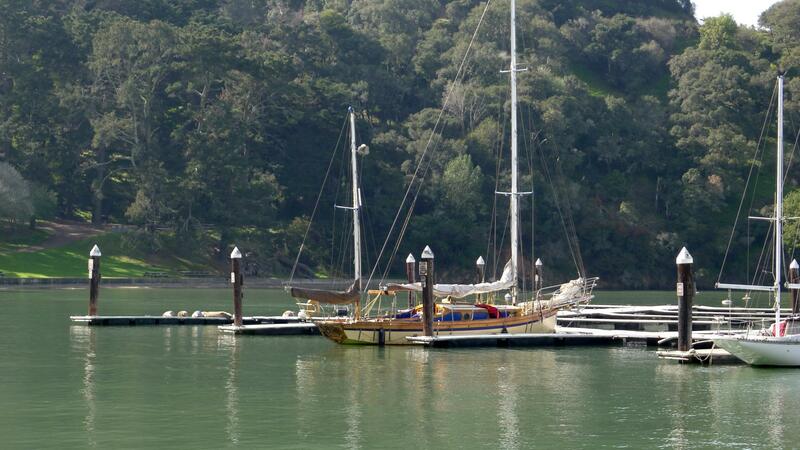 Ayallah Cove on Angel Island is one of our favorite destinations. We have an extensive menu available from our grill. 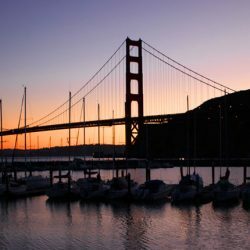 A stop on Angel Island is a good opportunity to stretch your legs and see a bit of the Bay’s history. A charter with this stopover is usually four, to five hours. 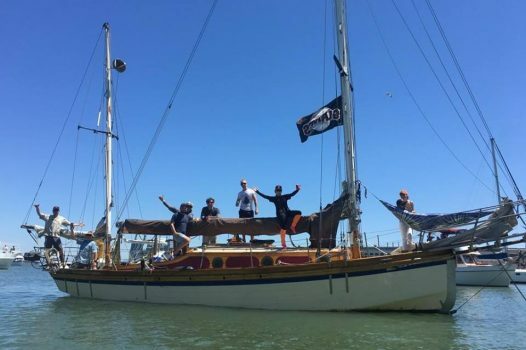 Bring your mitt to McCovey Cove for a Giants baseball game. It’s the ultimate tailgate party on the water. We have the game on the radio and the grill in full swing. We even have a kayak to chase down the ball. 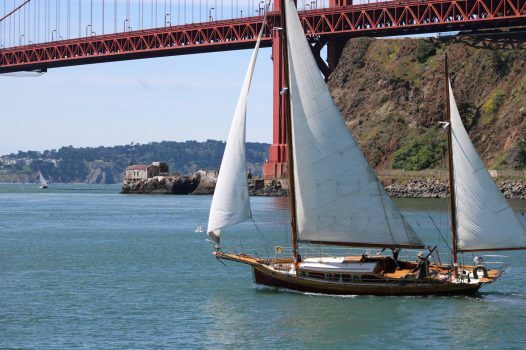 We offer many types of charters and can accommodate most sailing plans. We recognize the weather and our judgment concerning safety. Beyond that, we are open to your requests. 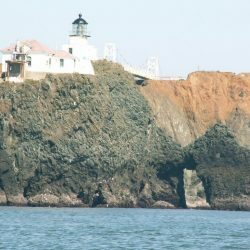 Long to make the trip to the Farallones? Let’s go! 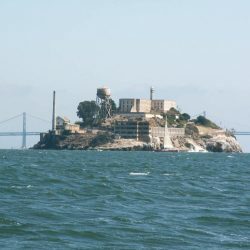 Half Moon Bay for an overnight? It can be arranged. Passage to Tahiti? That’s a longer conversation…. The cuisine offered aboard our yachts is fantastic. From lavish gourmet rollups to grilled salmon or rack of lamb, our galley will accommodate your needs. Basic appetizers are included in the cost of the trip with food from our grill priced as quoted. Please have a look at our menu and place your orders two days in advance, as everything is fresh and from scratch. Corporate charters are a specialty with us. We truly know how to show your star players a great time. For groups up to six, you may choose either of our yachts, from seven to twelve people we provide both boats for your pleasure. 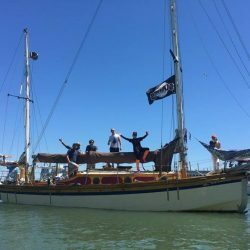 Don your best pirate costumes, Mates and Wenches. Let’s see your blazers, white slacks and loafers. Wait, I’d swear that was Gilligan. 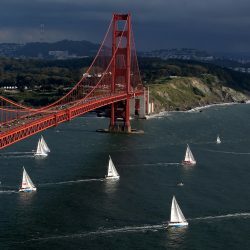 A sail on the bay is the perfect setting for a theme party. What’s your theme?? ?